Turn right out of the gate and walk down the road to the New Dungeon Ghyll hotel. Turn right and take the path up the left bank of Stickle Ghyll, crossing the bridge higher up. The path then climbs besides the right side of the ghyll, accompanied by the sight and sounds of numerous waterfalls. 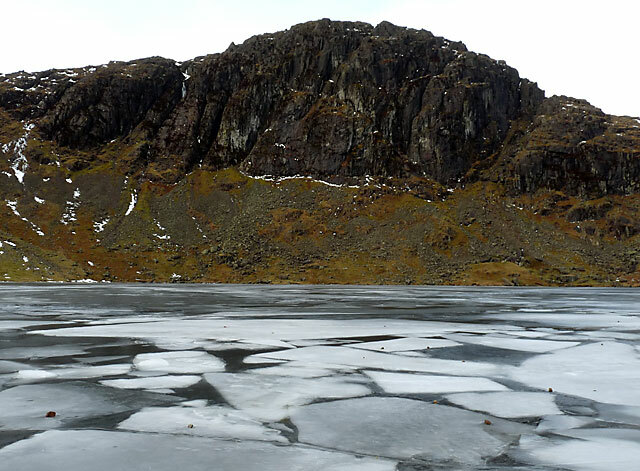 Higher up the path becomes increasingly rocky and it is easier to cross back to the left side for the final climb to Stickle Tarn. The setting is dramatic with the tarn backed by the huge cliff of Pavey Ark and the rocky peak of Harrison Stickle to the left. Turn right and follow path besides the tarn and then Bright beck to a point where a path crosses the beck. 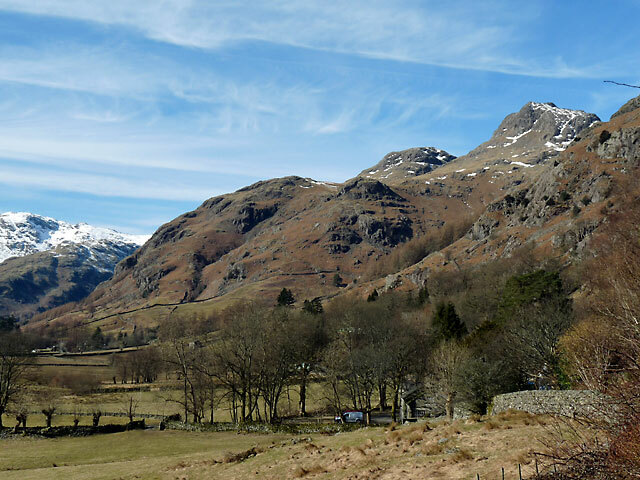 Climb the stony path to reach North Rake, the route to Pavey Ark. After a steep climb the angle eventually eases and the summit of Pavey Ark (2296ft) is reached. The route ahead to Harrison Stickle is fairly obvious, though the path is a little sketchy as it crosses the rocky slopes. 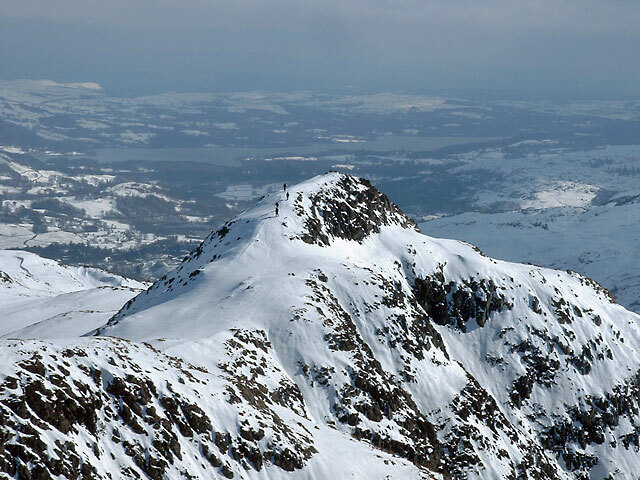 The summit at 2414ft is the highest of the Pikes. There are good views looking down Langdale towards Windermere. 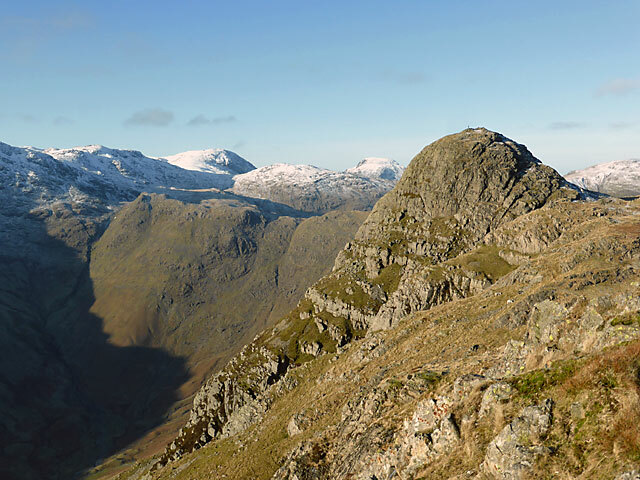 Drop steeply down to a grassy bowl and across to reach the rocky dome of Pike O'Stickle (2326ft). At it's foot lies a scree slope which was the site of a neolithic stone axe factory. A short steep scramble leads to its airy summit, where there are superb views across Mickleden to Bowfell. Return the same way and take the path to the right after crossing the top of the scree slope and follow the rocky edge overlooking Langdale to the last summit of the day Loft Crag (2230ft). Look out for climbers on Gimmer Crag on the way. Descend from here to the cairn marking the start of the descent route, down a steep stone pitched path, which levels out at a grassy area for a while. Lower down there are good views of the waterfalls in Dungeon Ghyll. The Langdale Pikes from the garden at Long House Cottages. 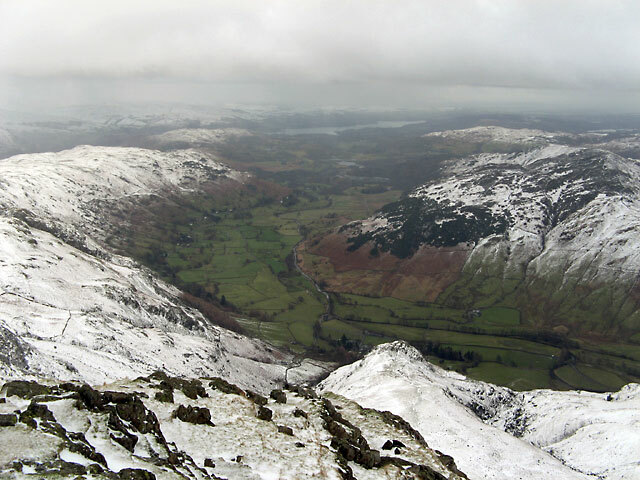 The view from Harrison Stickle looking down Langdale to Windermere.